Do you want to use the same telephone system as the BBC, NHS, and HMRC from just £8.95 per user per month? Whether you’re a start-up or an enterprise with 100,000 employees, you can save money and access the unique features of a cloud phone system. Unify’s OpenScape Voice is the telephone system that Unify are supplying to 75% of the Global 500; the world’s 500 largest companies. OpenScape Voice scales up to 100,000 users; an enterprise telephone system which has not been cost-effective for the SME and mid-market. Until now. OSV is built with redundancy in mind. It’s not actually a telephone system, it’s two, geographically split, each one always active and managing the same telephone calls so if one system goes down, the other carries on. Think of it as a brain, with the left and right sides copying each other so if one side fails the other simply carries on. And now add a third part to the brain, to watch the two sides and make sure they act properly. This is OpenScape Voice. Because OSV is a VoIP telephone system, moving it into the cloud was clearly part of the product design. This is a fully managed service; Unify’s own NOC (Network Operations Centre) monitors the telephone system with engineers available 24/7, automatically called out if the telephone system develops a fault. Handsets will arrive pre-configured and tested, so all you need to do it plug it in and you’re connected. It doesn’t get any easier. Most public cloud telephone systems have limited features and customisation options, but Unify, formerly known as Siemens, have been making telephone systems for over 100 years. OpenScape Voice is full feature. You can have your own branded music on hold, your own customised auto attendant, and hunt groups. Being a cloud telephone system, all you need on site are handsets and an internet connection. We can help with the network switching and cabling, or you can provide these yourself. Our project management team will work with you on a configuration planner in advance so that when you plug in your handset to the internet, your OSV Cloud system is live and ready. Lead time is as quick as your telephone numbers can migrate; typically three to five weeks. Have an urgent need? We can bring a system into service and have handsets to you within a week. 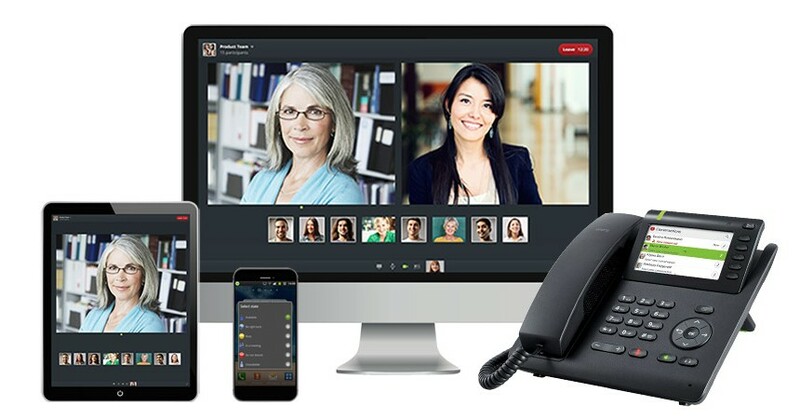 OSV Cloud can work with almost any SIP handset, but is designed with Unify OpenStage, OpenScape and OptiPoint telephones in mind. Or perhaps you prefer a soft client – a telephone managed on your PC, either through headset or USB handset. Maybe you have no fixed desk and wish to use the mobile app to make the nearest headset your extension. OSV Cloud is flexible enough to work for you which ever option you choose. A carrier grade telephone system is engineered to meet, or exceed, 99.999% reliability. Redundancy provides fault recovery in less than 50 milliseconds. It is proven, not just statistically but also in practice. And when 75% of the Global 500 use OpenScape Voice, you can be assured it delivers what it says on the box. Join us for a VIP meeting with Unify and let us show you what else OSV Cloud can do, such as Outlook, integration, click to dial, contact centre, video conferencing, web collaboration, a mobile client, and Fusion, the UC client. Get in touch now to find the edge on your competitors.